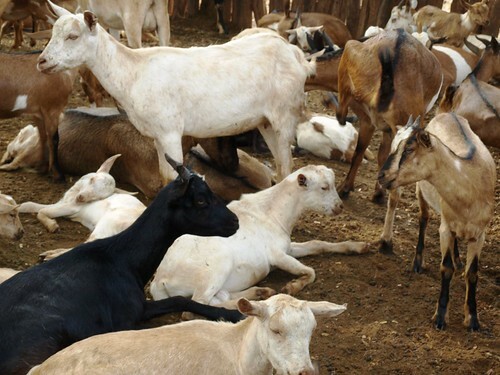 The imGoats project (‘small ruminant value chains to increase income and food security in India and Mozambique’) was designed to increase incomes and food security in a sustainable manner by enhancing pro-poor small ruminant value chains in the two countries. 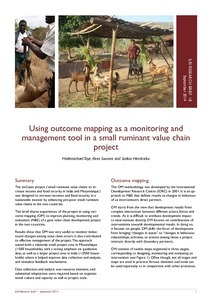 This ILRI research brief shares experiences of the project in using outcome mapping (OM) to improve planning, monitoring and evaluation (M&E) of a goat value chain development project in the two countries. Results show that OM was very useful to monitor behavioural changes among value chain actors. It also contributed to effective management of the project. The approach suited both a relatively small project area in Mozambique (>500 households), with a strong emphasis on qualitative data, as well as a larger project area in India (>2500 households) where it helped improve data collection and analysis,and stimulate feedback mechanisms. Data collection and analysis was resource intensive, and substantial adaptations were required based on organizational culture and capacity as well as project scale. Tags: imgoats, Outcome Mapping. Bookmark the permalink.